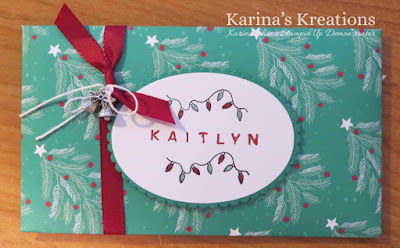 Karina's Kreations: Stampin'Up Personalized Gift Envelopes! 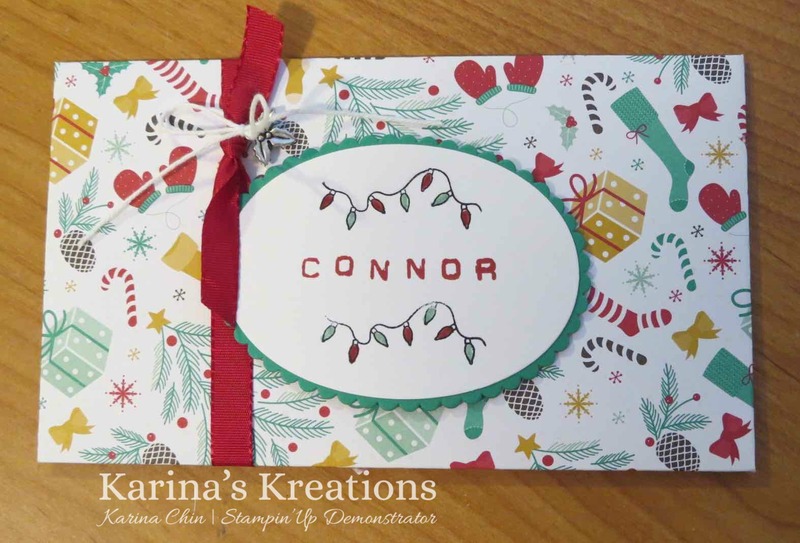 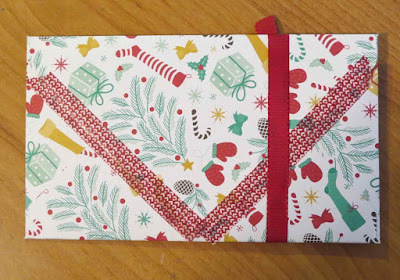 I'm still working on my Christmas gift wrapping and made these cute personalized gift envelopes for my kids. They were really easy to make by using the Envelope Punch Board #133774, Presents and Pinecones Designer Series Paper #141986, Presents and Pinecones Washi Tape #141988, Christmas Trinkets Embellishments #141997, 3/8" Silky Taffeta Ribbon #141989, Labeler Alphabet stamp set #141936, Forever Evergreen stamp set #142184 and the Layering Oval Framelit Dies #141706. The finished envelop size is 3-1/2" x 6-1/2" and I stated with a 8-1/4" x 8-1/4" piece of designer series paper.